HCM City People's Committee has recently asked the HCM City Development and Research Institute to co-operate with state departments, associations, and the general public to gather opinions about preserving architecture heritage in the city. There were 1,300 old villas and houses in HCM City built before 1975. However, the majority of them are privately owned. As most of the villas and houses were left in a disrepair state, the owners demolished them to build new houses. Since 1990, over 50% of French villas have been demolished. "I own a house at a prime location but I can't live or rent it out because I'm afraid that it can collapse at any time. It is now being used as a parking lot but the profit is low," said Le Thi Kim Ngoc from District 5. 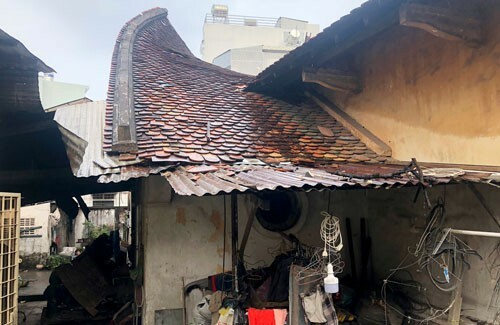 HCM City Development and Research Institute were asked to classify the remaining villas and houses into three types in which type 1 are houses that must be preserved while type 3 are those that have little historical or architecture values and can be demolished. However, the number of type 1 houses are scarce, while 90% of the villas belong to type 3. The owners then freely demolish the villas and will sue the authorities if they interfere. According to the institute, several countries such as the US and India take ownership over old buildings. The institute is carrying out research on establishing a bank and a trading floor for the transfer of development rights. Villa and house owners then can easily find partners to sell, set up businesses or repair the properties. Le Trong Hoa, head of the HCM City Villa Classification Council, said the owners needed support to preserve the villas. For example, the authorities could consider lowering taxes or providing preferential treatment to buy resettlement house when they want to open a business at the villas. Architect Tran Vinh Nam also urged the authorities to provide support to the owners or else more villas will disappear. "The authorities can only persuade and encourage the owners to preserve the villas because of the limited budget. The authorities should have specific regulations to support the owners in other ways," he said.